An interview with bestselling authors Graeme Simsion (The Rosie Project) and Anne Buist (Medea's Curse). Their new book 'Two Steps Forward' is a collaboration. They discuss what they love about writing together and share loads of fantastic, generous and very practical advice for writers. Graeme Simsion and Anne Buist's most recent book is Two Steps Forward, a wise, funny and romantic novel which they co-wrote and discuss in this interview. Graeme Simsion is a Melbourne-based novelist and screenwriter. The Rosie Project was the 2014 ABIA Book of the Year and has sold over three million copies worldwide. The sequel, The Rosie Effect, is also a bestseller, with worldwide sales of more than a million copies. Graeme’s screenplay for The Rosie Project is in development with Sony Pictures and The Best Of Adam Sharp is in development with Toni Collette’s Vocab Films. Anne Buist is the Chair of Women’s Mental Health at the University of Melbourne. She has over twenty-five years’ clinical and research experience in perinatal psychiatry, and works with protective services and the legal system in cases of abuse, kidnapping, infanticide and murder. 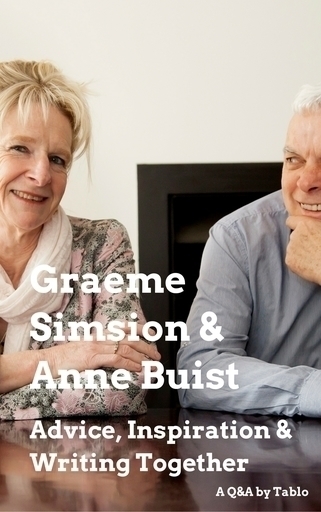 Professor Buist is married to novelist Graeme Simsion and has two children. Her novels featuring forensic psychiatrist Natalie King are Medea's Curse, Dangerous To Know and This I Would Kill For. Anne: In 2011, we walked the Camino de Santiago from central France to Santiago in Spain. In the first two weeks, we were on a ‘feeder’ track, in winter, and met only one other walker, a young Belgian man. When he heard that we were both aspiring writers, he suggested we write a novel set on the Camino. Together—because he didn’t know that novels are usually solo projects. Featuring a romance with old people like ourselves. Did you map the story out first or let it reveal itself in the writing? Graeme: We’re both planners / plotters, me particularly (it goes with the screenwriting background) so we worked out the story first. But, as usual, the plan changed as we got to know our characters—and came up with better ideas. Was it a collaborative idea from the beginning? Graeme: Yes. We originally planned a pair of novels with the same plot and characters, but written from different points of view. And that’s what we did: after we’d agreed on the overall story, Anne wrote a complete novel narrated by Zoe, an American widow, and I wrote essentially the same novel as narrated by Martin, a recently-divorced British engineer. Our concept was that a couple would buy the pair and each read one, then discuss. Our publisher thought this was a terrible idea, and so did our first readers, who chose to go back and forth between the two manuscripts. So we put is all aside for four years, then combined the two versions into a single manuscript with alternating points of view (Anne’s job…). I then did a severe prune (screenwriters are accustomed to cutting) and the rest was conventional editing – back and forth across the living room, or occasionally across the world. The Camino de Santiago is a great setting. Did you have a particular interest and had you yourselves walked it? Anne: We were staying in a village in France and I saw a scallop-shell symbol on a lamp post – and was told it was a marker for the Chemin de St Jacques / Way of St James / Camino de Santiago. When people talk about the Camino, they’re generally referring to the Camino Frances (French Way) the 800km track from St Jean Pied de Port on the French-Spanish border to Santiago, near the Westernmost point of Europe. But there are feeder paths all over Europe, and our village was on one of these. So, in 2011, we returned to the village, then walked out our door towards Santiago, just as the pilgrims did in the Middle Ages. Three months and a little over 2,000 kilometres later we got there, after taking an alternative Northern route through Spain (the Camino de Norte and Camino Primitivo). This is the route Martin and Zoe take in Two Steps Forward. In 2016, after writing our separate drafts of the book, but before combining them, we retraced our steps as far as the Spanish border, then finished by walking the more popular Camino Frances. Research. And yes, it’s a wonderful setting. Our readers are telling us that Zoe’s and Martin’s adventures in dealing with the physical and psychological challenges of the Camino are what they enjoy most about the book. Writing a book solo can be hard enough let alone writing one together. Can you describe what you loved about the process? Graeme: When Anne and I got together, some 30 years ago, we did so thinking that we’d spend a lot of time in each other’s company, doing what Don Tillman would call ‘joint projects’. That’s the idea, right? We’ve always collaborated on our books: we plot together and are each other’s first and last readers before publication. So Two Steps Forward was an extension of what we were doing already, and it didn’t actually feel too different. Screenwriters are accustomed to collaborating on plot, and all of us are used to being edited. The other great aspect of it was revisiting the two journeys we’d made on the Camino. Anne: Having to leave things out. We had so many great experiences on the Camino, and met so many interesting people with so many stories. Even though this was fiction, we wanted all of them to have a place in the book. Graeme: Persuading Anne to let me take things out. While it is fictional, what (if anything) did you draw on from your own relationship? Anne: Not very much, at least not consciously. Two Steps Forward is about starting again, or at least reviewing your life. We’ve had that experience ourselves: making big changes (both of us giving up or scaling back our original careers in order to write) and dealing with changes beyond our control. That experience fed into the story, but our own big relationship changes happened when we were younger than Zoe and Martin. They are carrying a lot more baggage than we were back then—they have things they need to resolve before they can move on. So we’re coming from ‘what if’ rather than direct experience of having to rebuild after death and divorce. We’re happy about that. Graeme: In life, some resolutions are happy and some are not. In books, endings have to be consistent with what you’ve set up, but in my case that’s going to happen within the context of a world view that is basically optimistic, or at least sympathetic. I don’t write ‘evil’ characters, and I’d rather people were inspired by my books than crushed. And, of course, ‘happy’ is subjective. Not every character is going to be completely happy, and not every reader is going to be happy—the ending of The Best of Adam Sharp is a case in point! And I don’t think the nature of the ending—happy or unhappy—has any bearing on the literary value of the book. Anne: In the psychiatry work I do, all too often the happy ending isn’t there, but the work is in re-evaluating and making the best of what you have; lack of perspective is pretty common in anxiety and depression. In the psychological thrillers I write, the characters have to be true to themselves—and my protagonist, Natalie, has a lot of work through to get to ‘happy”. What’s the secret to writing heart-warming romance between the characters? There are conventional love stories in The Rosie Project and the first half of The Best of Adam Sharp (the second half is less conventional…). But the ‘secret’ to getting an emotional response from readers is much the same whether you want to provoke a warm heart, a wet eye or a dropped jaw: Take notice of what works for you. If you’re reading, and find there are tears in your eyes, go back and work out how the trick was done. Often it’s about kindness rather than cruelty, the best things in people rather than the worst. There’s usually surprise (perhaps the hero overcoming some personal demon), but not to the extent of being unrealistic, which in turn means that change has to be set up—earned. Restrained prose, showing not telling, is almost always better than ‘on the nose’ description of emotions. Graeme what are you working on now? Graeme: The third, and final, book in the Don Tillman trilogy. Can you tell us about your next book coming out? Graeme: I’m expecting that’ll be the third Don Tillman book, which is still in the planning stages. Looks like it’ll be about parenting, identity and acceptance. And hopefully funny. Anne what are you working on now? Anne: Final edits of This I Would Kill For, and I’m a third of the way through draft one of a stand-alone psychological thriller Everything to Lose. Anne: This I Would Kill For on February 1st 2018. Text Publishing, as always. There’s a lot of aspiring writers on Tablo. Can you share any tips for writing such engaging stories? 1. At every point in the story, there should be an overarching dramatic question: Will Don find a wife? Who killed the baby? Will Zoe and Martin make it to Santiago? The question can change over the course of the story, but not too frequently: such changes are major turning points. This is what encourages the reader to push on even if they’re not fascinated by what’s happening in the current chapter or paragraph. 2. Write in scenes. This is another (but, we think, more helpful) way of saying ‘show, don’t tell’. Think of how it would play on a movie screen: if you have to use voice-over, think again! This will lead you away from long description, and from summary. Instead of summarising or describing, give us an example: instead of “Zoe was a cartoonist, with a knack for capturing the things people thought others couldn’t see, and over the years had amused her friends and colleagues with…” have her draw a cartoon of another character, have them see it, etc. We can figure out that this is not the first time and enjoy the character development and drama as it happens. 3. Dialogue is more engaging than exposition. If we need to learn about the Camino, let’s see Martin or Zoe talking to someone about it rather than getting a lecture. 4. Conflict is the basis of drama – and hence more engaging. If Zoe or Martin is going to learn about the Camino in dialogue, let’s have a bit of conflict to keep us interested and perhaps amused. It can be just different goals—the guy Zoe’s seeking advice from wants to sell her a charm. Or more personal: Martin’s done his preparation and doesn’t want to be lectured to by some French bureaucrat. 5. Keep the reader wondering ‘what’s going to happen next?’ Jeopardy is your friend here. Watch what the TV writers do to make sure you’ll still be there after the ad break. Are there any tricks you can share in terms of what you do and don’t do when writing a novel? Graeme and Anne: There are tricks, but writing is not about tricks any more than neurosurgery is about tricks. A solid base of craft comes first. So our first advice to new writers is: Imagine you’re studying to be a neurosurgeon. Or, if you’ve come from another field, reflect on what it took to become an expert in that field. Expect to do at least that amount of work and development to become expert in writing. Graeme: If writing by the seat of your pants (making it up as you go along) doesn’t work, try planning. I meet too many writers who persist with an unplanned approach when it’s not working for them. The classic symptom is getting lost and giving up about a third of the way through. Okay, one ‘trick’. When my characters set out to achieve an important goal or have to make a crucial story-changing decision, I interrogate them as to their motivation. Three questions: What reason would you give to your friends? What reason would you give, in total confidence, to your therapist? What reason would the therapist give me? Anne: There is quite a bit of specific craft in creating tension—cliff-hangers, the ticking clock, the reader knowing about a threat in advance of the protagonist—but for me it has mostly been about learning to embrace editing as making the book better. Books benefit from taking time out from them and coming back to them as well—you can see things in a different way that can make for a more complex deeper story. Reading aloud helps in seeing errors at a sentence level. Most writers have to cope with rejection at some point. Before you were both so successful, how did you cope with that? Graeme: Other irons in the fire. Anne: Read the letter properly…after a second rejection letter from Random House (and I had others) more than twenty years ago, I moved onto other things. Re-reading the letter, it was so positive I can’t believe I didn’t keep writing! But in general, perspective is probably the most important thing—even classics were rejected and get one star on Goodreads from some readers! Graeme, you had such an interesting route to getting published originally. Can both of you share any suggestions about how to go about getting published? Anne and Graeme: It’s very similar advice to what we’d give about marketing. The most important thing is to write the best book you can. Don’t get distracted by the commercial side (and this is coming from Graeme who used to run a business). In the end, quality will out. Get input from trusted early readers. Put it aside for a month or twelve and come back to it. Rewrite and rewrite again. Make sure the first page is compelling and the first chapter utterly impeccable with spelling and grammar. Enter (respectable) unpublished manuscript competitions. Don’t give up: a good manuscript will find its home. 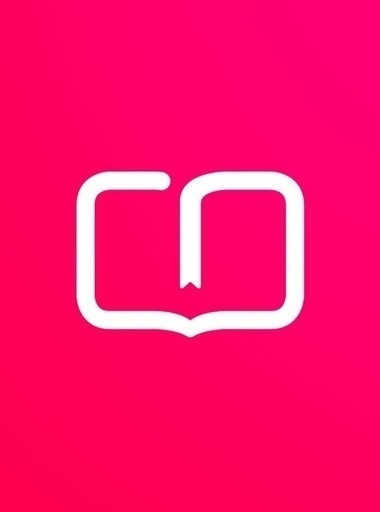 Who are the writers you’ve learnt a lot from? And what? 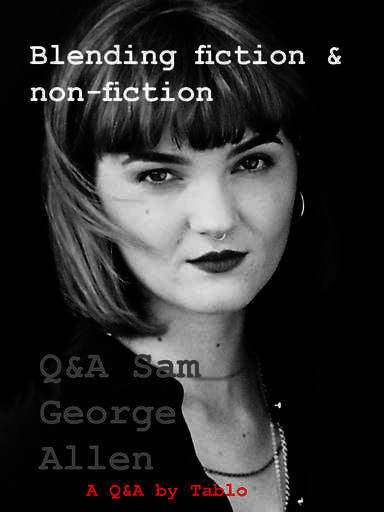 Graeme: I’ve read widely over a long period, and now, as a professional writer, I do so with an eye to craft. How is the story structured? How did the writer engender sympathy for ‘unlikeable’ characters. What was memorable? I’m particularly interested in comedy: what works and what doesn’t. The list of writers I’ve learned from is huge—difficult to single out anyone. When I was writing The Rosie Project, I turned to screenplays (and movies) to see how romantic comedy was done: Billy Wilder, Nora Ephron, Woody Allen. Two Steps Forward has a bit of a hero’s journey flavour, and I remember reading Rose Tremain’s The Road Home with that structure in my head—seeing how it played out in practice. I think aspiring novelists and teachers frequently focus on prose quality at the expense of story. Dan Brown is the ritual whipping boy: instead of mocking his style, we would do well to ask what it is in his stories that compensates for it—and wins over millions of readers. You can learn something from everything you read, even if it’s what not to do. Anne: I read a lot, and have lots of favourites and writers I aspire to be as good as…but for what I’ve learnt from writers, I can’t go past Agatha Christie. Though I find her writing old fashioned by today’s standards, she was who got me hooked on crime books—and her characters and structure formed a good foundation for learning.